There are lots of great ideas out there for improving the way we do nuclear power. For instance, Transatomic Power recently proposed a novel type of molten salt reactor (MSR). The Next Generation Nuclear Plant (NGNP) Industry Alliance, with support from the U.S. Department of Energy, has chosen a high temperature gas reactor (HTGR) as its reactor of the future candidate. Small modular reactors (SMRs) are all the rage, and a plethora of designs have been proposed. Unlike the others, Terrapower’s traveling wave reactor (TWR), which is backed by Bill Gates, actually has a fighting chance to be built in the foreseeable future – in China. With the possible exception of SMR’s, which have strong military support, the chances of any of them being built in the United States in the foreseeable future are slim. Government, the courts, and a nightmarish regulatory process stand in the way as an almost insuperable barrier. It wasn’t always this way. A lot of today’s “novel” concepts are based on ideas that were proposed many decades ago. We know they work, because demonstration reactors were built to try them out. More than a dozen were built at Oak Ridge National Laboratory in Tennessee. No less than 53 were built at Idaho National Laboratory! Virtually all of them were completed more than half a century ago. There are few historical precedents that can match the sudden collapse from the vitality of those early years to the lethargy and malaise prevailing in the nuclear industry today. It’s sad, really, because the nuclear plants that actually are on line and/or under construction are artifacts of a grossly wasteful, potentially dangerous, and obsolete technology. The light water reactors (LWRs) currently producing energy in this country use only a tiny fraction of the energy available in their uranium fuel, producing dangerous transuranic actinides that can remain highly radioactive for millennia in the process. Many of the new designs are capable of extracting dozens of times more energy from a given quantity of fuel than LWRs. Molten salt reactors would operate far more efficiently, could not melt down, and would consume dangerous actinides in the process, leaving such a small quantity of waste after several decades of operation that it would be less radioactive than the original ore used to fuel the reactor after a few hundred years rather than many millennia. Besides also being immune to meltdown, HTGRs, because of their much higher operating temperatures, could enable such things as highly efficient electrolysis of water to produce hydrogen fuel and greatly improved extraction techniques for oil and natural gas from shale and sand. Why, then, aren’t we building these improved designs? It’s highly unlikely that the necessary initiative will come from industry. Why would they care? They’re in the business to make a profit, and LWRs can be built and operated more cheaply than the alternatives. Why should they worry about efficiency? There’s plenty of cheap uranium around, and it’s unlikely there will be major shortages for decades to come. Ask any industry spokesman, and he’ll assure you that transuranic radioactive waste and the potential proliferation issues due to the plutonium content of spent LWR fuel are mere red herrings. I’m not so sure. In other words, strong government leadership would be needed to turn things around. Unfortunately, that commodity is in short supply. The current reality is that government is a highly effective deterrent to new reactor technology. Take the Nuclear Regulatory Commission (NRC) for example. Read Kafka’s The Trial and you’ll have a pretty good idea of how it operates. So you want to license a new reactor design, do you? Well, most of the current regulations apply specifically to LWRs, so you’ll have to give them time to come up with new ones. Then you’ll need to spend at least a decade and millions of dollars explaining your new technology to the NRC bureaucrats. Then you can expect an endless stream of requests for additional information, analysis of all the threat and failure scenarios they can dream up, etc., which will likely take a good number of additional years. After all, they have to justify their existence, don’t they? If you ever manage to get past the NRC, the court system will take things up where they left off. What to do? I don’t know. It really doesn’t upset me when reactors built with legacy technology are pulled off line, and replaced with fossil fueled plants. They just waste most of their fuel, throwing away energy that future generations might sorely miss once they’ve finally burned through all the coal and oil on the planet. Maybe the best thing to do would be to just buy up all the available uranium around and wait. We might also stop the incredibly block-headed practice of converting all of our “depleted” uranium into ammunition. The Lone Ranger’s silver bullets were cheap by comparison. Future generations are likely to wonder what on earth we were thinking. Things were a lot better in the “apathetic” 50’s, but the novelist Thomas Wolfe had it right. You can’t go home again. A consortium led by France’s EDF Energy, including Chinese investors, has agreed with the government of the UK on terms for building a pair of new nuclear reactors at Hinkley Point in the southwest of the country, not far from Bristol. If a final investment decision is made some time next year, and the plants are actually built, they will probably be big (about 1600 Megawatts) pressurized water reactors (PWR’s) based on the French company Areva’s EPR design. These are supposed to be (and probably are) safer, more efficient, and more environmentally friendly than earlier designs. In general, I tend to be pro-nuclear. I would certainly feel a lot safer living next to a nuclear plant than a coal plant. However, I’m a bit ambivalent about these new starts. I think we could be a lot smarter in the way we implement nuclear power programs. When this binding energy is released in the nucleus, it causes it to wiggle and vibrate, something like a big drop of water falling through the air. In the case of U235, the energy is sufficient to cause this “liquid drop” to actually break in two, or “fission.” Such isotopes are referred to as “fissile.” In U238, the binding energy of the last neutron alone is not sufficient to cause fission, but the isotope can still actually fission if the neutron happens to be moving very fast when it hits the nucleus, bringing some of its own energy to the mix. Such isotopes, while not “fissile,” are referred to as “fissionable.” Unfortunately, the isotope U235 is only 0.7 percent of natural uranium. Once it’s burnt, the remaining U238 is no longer useful for starting a nuclear chain reaction on its own. That would be the end of the story as far as conventional reactors are concerned, except for the fact that something interesting happens to the U238 when it absorbs a neutron. As mentioned above, it doesn’t fission unless the neutron is going very fast to begin with. Instead, with the extra neutron, it becomes U239. However, U239 is unstable, and decays into neptunium 239, which further decays into plutonium 239, or Pu239. In Pu239 the binding energy of the last neutron IS enough to cause it to fission. Thus, conventional reactors burn not only U235, but also some of the Pu239 that is produced in this way. Unfortunately, they don’t produce enough extra plutonium to keep the reactor going, so only a few percent of the U238 is “burnt” in addition to the U235 before the fuel has to be replaced and the old fuel either reprocessed or stored as radioactive waste. Even though a lot of energy is locked up in the remaining U238, it is usually just discarded or used in such applications as the production of heavy armor or armor piercing munitions. In other words, the process is something like throwing a log on your fireplace, then fishing it out and throwing it away when only a small fraction of it has been burnt. Can anything be done about it? It turns out that it can. The key is neutrons. They not only cause the U235 and Pu239 to fission, but also produce Pu239 via absorption in U238. What if there were more of them around? If there were enough, then enough new Pu239 could be produced to replace the U235 and old Pu239 lost to fission, and a much greater fraction of the U238 could be converted into useful energy. A much bigger piece of the “log” could be burnt. However, more neutrons will be produced in each fission if the neutrons aren’t heavily moderated, but remain “fast.” In fact, enough can be produced, not only to keep the chain reaction going, but to convert more U238 into useful fuel via neutron absorption than is consumed. That is the principle of the so-called fast breeder reactor. Another way to do the same thing is to replace the U238 with the more plentiful naturally occurring element thorium 232. When it absorbs a neutron, it eventually decays into U233, which, like U235, is fissile. There are actually many potential advantages to this thorium breeding cycle, such as potentially greater resistance to nuclear weapons proliferation, the ability to run the process at slower average neutron speeds, allowing smaller reactor size and easier control, less production of dangerous, long-lived transuranic actinides, such as plutonium and americium, etc. In fact, if enough neutrons are flying around, they will fission and eliminate these actinides. It turns out that’s very important, because they’re the nastiest components of nuclear waste. If they could be recycled and burned, the amount of residual radiation from the waste produced by operating a nuclear plant for 30 or 40 years could be reduced to a level below that of the original uranium or thorium ore in a matter of only a few hundred years, rather than the many thousands that would otherwise be necessary. So breeders can use almost all the potential energy in uranium or thorium instead of just a small fraction, while at the same time minimizing problems with radioactive waste. What’s not to like? Why aren’t we doing this? The answer is profit. As things now stand, power from breeder reactors of the type I’ve just described would be significantly more expensive than that from conventional reactors like EPR. EPR’s would use enriched natural uranium, which is still relatively cheap and plentiful. They would require no expensive reprocessing step. Ask an industry spokesman, and they will generally assure you (and quite possibly believe themselves, because self-interest has always had a strong delusional effect) that we will never run out of natural uranium, that the radioactive danger from conventional reactor waste has been grossly exaggerated, and there is no long-term proliferation danger from simply discarding plutonium-laced waste somewhere and letting it decay for several thousand years. I’m not so sure. Now, I have no problem with profit, and I find Hollywood’s obsession with the evils of large corporations tiresome, but I really do think this is one area in which government might actually do something useful. It might involve some mix of increased investment in research and development of advanced reactor technology, including the building of small demonstration reactors, continued robust support for the nuclear Navy, and eliminating subsidies on new conventional reactors. Somehow, we managed to build scores of research reactors back in the 50’s, 60’s and 70’s. It would be nice if we could continue building a few more now and then, not only for research into breeder technology, but as test beds for new corrosion and radiation resistant materials and fuels, exploration of high temperature gas-cooled reactors that could not only produce electricity but facilitate the production of hydrogen from water and synthetic natural gas from carbon dioxide and coal, both processes that are potentially much more efficient at high temperatures, and even fusion-fission hybrids if we can ever get fusion to work. We aren’t going to run out of energy any time soon, but there are now over 7 billion people on the planet. Eventually we will run out of fossil fuels, and depending entirely on wind, solar and other renewables to take up the slack seems a little risky to me. Wasting potential fuel for the reactors of the future doesn’t seem like such a good idea either. Under the circumstances, keeping breeder technology on the table as a viable alternative doesn’t seem like a bad idea. A while back in an online discussion with a German “Green,” I pointed out that, if Germany shut down its nuclear plants, coal plants would have to remain in operation to take up the slack. He was stunned that I could be so obtuse. Didn’t I realize that the lost nuclear capacity would all be replaced by benign “green” energy technology? Well, it turns out things didn’t quite work out that way. In fact, the lost generating capacity is being replaced by – coal. Germany is building new coal-fired power plants hand over fist, with 26 of them planned for the immediate future. According to Der Spiegel, the German news magazine that never misses a trick when it comes to bashing nuclear, that’s a feature, not a bug. A recent triumphant headline reads, “Export Boom: German Coal Electricity Floods Europe.” Expect more of the same from the home of Europe’s most pious environmentalists. Germany has also been rapidly expanding its solar and wind capacity recently thanks to heavy state subsidies, but the wind doesn’t always blow and the sun doesn’t always shine, especially in Germany. Coal plants are required to fill in the gaps – lots of them. Of course, it would be unprofitable to let them sit idle when wind and solar are available, so they are kept going full blast. When the power isn’t needed in Germany, it is sold abroad, serving as a useful prop to Germany’s export fueled economy. Remember the grotesque self-righteousness of Der Spiegel and the German “Greens” during the Kyoto Treaty debates at the end of the Clinton administration? Complying with the Kyoto provisions cost the Germans nothing. They had just shut down the heavily polluting and grossly unprofitable industries in the former East Germany, had brought large numbers of new gas-fired plants on line thanks to increasing gas supplies from the North Sea fields, and had topped it off with a lame economy in the 90’s compared to the booming U.S. Their greenhouse gas emissions had dropped accordingly. Achieving similar reductions in the U.S. wouldn’t have been a similar “freebie.” It would have cost tens of thousands of jobs. The German “Greens” didn’t have the slightest problem with this. They weren’t interested in achieving a fair agreement that would benefit all. They were only interested in striking pious poses. That’s small comfort to her eastern European neighbors. Downwind from Germany’s coal-fired plants, their “benefit” from her “green” policies is acid rain, nitrous oxide laced smog, deadly particulates that kill and sicken thousands and, last but not least, a rich harvest of radioactive fallout. That’s right, Germany didn’t decrease the radioactive hazard to her neighbors by shutting down her nuclear plants. She vastly increased it. Coal contains several parts per million each of radioactive uranium and thorium. These elements are harmless enough – if kept outside the body. The energetic alpha particles they emit are easily stopped by a normal layer of skin. When that happens, they dump the energy they carry in a very short distance, but, since skin is dead, it doesn’t matter. It’s an entirely different matter when they dump those several million electron volts of energy into a living cell – such as a lung cell. Among other things, that can easily derange the reproductive equipment of the cell, causing cancer. How can they reach the lungs? Very easily if the uranium and thorium that emit them are carried in the ash from a coal-fired plant. A typical coal-fired plant releases about 5 tons of uranium and 12 tons of thorium every year. The German “Greens” have no problem with this, even though they’re constantly bitching about the relatively miniscule release of uranium from U.S. depleted uranium munitions. Think scrubber technology helps? Guess again! The uranium and thorium are concentrated in the ash, whether it ends up in the air or not. They can easily leach into surrounding cropland and water supplies. The last time there was an attempt to move radioactive waste to the Gorleben storage facility within Germany, the “Greens” could be found striking heroic poses as saviors of the environment all along the line, demonstrating, tearing up tracks, and setting police vehicles on fire. Their “heroic” actions forced the shutdown of Germany’s nuclear plants. The “gift” (German for “poison”) of their “heroic” actions to Germany’s neighbors came in the form of acid rain, smog, and airborne radiation. By any reasonable standard, coal-fired plants are vastly more dangerous and damaging to the environment than the nuclear facilities they replaced. It doesn’t matter to Germany’s “Greens.” The acid rain, the radiation, the danger of global warming they always pretend to be so concerned about? It doesn’t matter. For them, as for the vast majority of other environmental zealots worldwide, the pose is everything. The reality is nothing. Nuclear power is an attractive candidate for meeting our future energy needs. Nuclear plants do not release greenhouse gases. They release significantly less radiation into the environment than coal plants, because coal contains several parts per million of radioactive thorium and uranium. They require far less space and are far more reliable than alternative energy sources such as wind and solar. In spite of some of the worst accidents imaginable due to human error and natural disasters, we have not lost any cities or suffered any mass casualties, and the horrific “China Syndrome” scenarios invented by the self-appointed saviors of mankind have proven to be fantasies. That is not to say nuclear power is benign. It is just more benign than any of the currently available alternatives. The main problem with nuclear is not that it is unsafe, but that it is being ill-used. In this case, government could actually be helpful. Leadership and political will could put nuclear on a better track. To understand why, it is necessary to know a few things about nuclear fuel, and how it “burns.” Bear with me while I present a brief tutorial in nuclear engineering. Nuclear energy is released by nuclear fission, or the splitting of heavy elements into two or more lighter ones. This doesn’t usually happen spontaneously. Before a heavy element can undergo fission, an amount of energy above a certain threshold must first be delivered to its nucleus. How does this happen? Imagine a deep well. If you drop a bowling ball into the well, it will cause a large splash when it hits the water. It does so because it has been accelerated by the force of gravity. A heavy nucleus is something like a well, but things don’t fall into it because of gravity. Instead, it relies on the strong force, which is very short range, but vastly more powerful than gravity. The role of “bowling ball” can be played by a neutron. If one happens along and gets close enough to fall into the strong force “well,” it will also cause a “splash,” releasing energy as it is bound to the heavy element’s nucleus, just as the real bowling ball is “bound” in the water well until someone fishes it out. This “splash,” or release of energy, causes the heavy nucleus to “jiggle,” much like an unstable drop of water. In one naturally occurring isotope – uranium with an atomic weight of 235 – this “jiggle” is so violent that it can cause the “drop of water” to split apart, or fission. There are other isotopes of uranium. All of them have 92 protons in their nucleus, but can have varying numbers of neutrons. The nucleus of uranium 235, or U235, has 92 protons and 143 protons, adding up to a total of 235. Unfortunately, U235 is only 0.7% of natural uranium. Almost all the rest is U238, which has 92 protons and 146 neutrons. When a neutron falls into the U238 “well,” the “splash” isn’t big enough to cause fission, or at least not unless the neutron had a lot of energy to begin with, as if the “bowling ball” had been shot from a cannon. As a result, U238 can’t act as the fuel in a nuclear reactor. Almost all the nuclear reactors in operation today simply burn that 0.7% of U235 and store what’s left over as radioactive waste. Unfortunately, that’s an extremely inefficient and wasteful use of the available fuel resources. To understand why, it’s necessary to understand something about what happens to the neutrons in a reactor that keep the nuclear chain reaction going. First of all, where do they come from? Well, each fission releases more neutrons. The exact number depends on how fast the neutron that caused the fission was going, and what isotope underwent fission. If enough are released to cause, on average, one more fission, then the resulting chain reaction will continue until the fuel is used up. Actually, two neutrons, give or take, are released in each fission. However, not all of them cause another fission. Some escape the fuel region and are lost. Others are absorbed in the fuel material. That’s where things get interesting. Recall that, normally, most of the fuel in a reactor isn’t U235, but the more common isotope, U238. When U238 absorbs a neutron, it forms U239, which quickly decays to neptunium 239 and then plutonium 239. Now it just so happens that plutonium 239, or Pu239, will also fission if a neutron “falls into its well,” just like U235. In other words, if enough neutrons were available, the reactor could actually produce more fuel, in the form of Pu239, than it consumes, potentially burning up most of the U238 as well as the U235. This is referred to as the “breeding” of nuclear fuel. Instead of just lighting the U235 “match” and letting it burn out, it would be used to light and burn the entire U238 “log.” Unfortunately, there are not enough neutrons in normal nuclear reactors to breed more fuel than is consumed. Such reactors have, however, been built, both in the United States and other countries, and have been safely operated for periods of many years. Plutonium breeders aren’t the only feasible type. In addition to U235 and Pu239, another isotope will also fission if a neutron falls into its “well” – uranium 233. Like Pu239, U233 doesn’t occur in nature. However, it can be “bred,” just like Pu239, from another element that does occur in nature, and is actually more common than uranium – thorium. I’ve had a few critical things to say about some of the popular science articles I’ve seen on thorium lately, but my criticisms were directed at inaccuracies in the articles, not at thorium technology itself. Thorium breeders actually have some important advantages over plutonium. When U233 fissions, it produces more neutrons than Pu239, and it does so in a “cooler” neutron spectrum, where the average neutron energy is much lower, making the reactor significantly easier to control. These extra neutrons could not only breed more fuel. 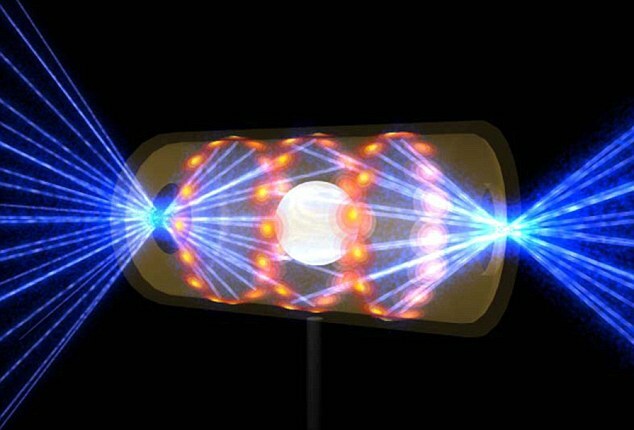 They could also be used to burn up the transuranic elements – those beyond uranium on the table of the elements – that are produced in conventional nuclear reactors, and account for the lion’s share of the long-lived radioactive waste. This would be a huge advantage. Destroy the transuranics, and the residual radioactivity from a reactor would be less than that of the original ore, potentially in a few hundred years, rather than many thousands. Thorium breeders have other potentially important advantages. 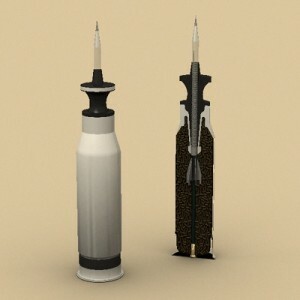 The fuel material could be circulated through the core in the form of a liquid, suspended in a special “salt” material. Of course, this would eliminate the danger of a fuel meltdown. In the event of an accident like the one at Fukushima, the fuel would simply be allowed to run into a holding basin, where it would be sub-critical and cool quickly. Perhaps more importantly, the United States has the biggest proven reserves of thorium on the planet. Breeders aren’t the only reactor types that hold great promise for meeting our future energy needs. High temperature gas cooled reactors would produce gas heated to high temperature in addition to electricity. This could be used to produce hydrogen gas via electrolysis, which is much more efficient at such high temperatures. When hydrogen burns, it produces only water. Such reactors could also be built over the massive oil shale deposits in the western United States. The hot gas could then be used to efficiently extract oil from the shale “in situ” without the need to mine it. It is estimated that the amount of oil that could be economically recovered in this way from the Green River Basin deposits in Utah, Wyoming and Colorado alone is three times greater than the oil reserves of Saudi Arabia. Will any of this happen without government support and leadership? Not any time soon. The people who build nuclear reactors expect to make a profit, and the easiest way to make a profit is to build more conventional reactors of the type we already have. Raise the points I’ve mentioned above, and they’ll simply tell you that there’s plenty of cheap uranium around and therefore no need to breed more fuel, the radioactive danger of transuranics has been much exaggerated, etc., etc. All these meretricious arguments make sense if your goal is to make a profit in the short run. They make no sense at all if you have any concern for the energy security and welfare of future generations. Unless the proponents of controlled fusion or solar and other forms of alternative energy manage to pull a rabbit out of their collective hats, I suspect we will eventually adopt breeder technology. The question is when. After we have finally burnt our last reserves of fossil fuel? After we have used up all our precious reserves of U238 by scattering it hither and yon in the form of “depleted uranium” munitions? The longer we wait, the harder and more expensive it will become to develop a breeder economy. It would be well if, in this unusual case, government stepped in and did what it is theoretically supposed to do; lead. As I’ve pointed out in previous posts, it doesn’t make a lot of sense to use depleted uranium (DU) as ammunition because of its potential value as an energy source. Other than that, its substantial advantages as a penetrator for defeating armored targets are likely grossly outweighed by the value of the propaganda weapon we hand to our enemies when we use it, not to mention the massive cost of litigating cases brought by lawyers who are well aware of the potential value of DU hysteria for lining their pockets. That hysteria lost touch with reality long ago, and continues to grow. A glance at the facts should be enough to cure anyone of an overweening faith in the intelligence of human beings. The basic propaganda line relating to DU weapons is that a) Great increases in cancer and other health problems are experienced in areas where they are used, and b) Most of these health problems are due to radioactivity from DU. The professionally pious have devoted a great deal of webspace to the subject, typically short on facts but with lots of pictures of terribly deformed infants and, as usual, featuring themselves as noble saviors of humanity. Those with strong stomachs can find examples here, here and here. It’s all completely bogus, but the truth has never been more than a minor inconvenience for ideological poseurs. For the general population it is unlikely that the exposure to depleted uranium will significantly exceed the normal background uranium levels. Measurements of depleted uranium at sites where depleted uranium munitions were used indicate only localized (within a few tens of metres of the impact site) contamination at the ground surface. General screening or monitoring for possible depleted uranium-related health effects in populations living in conflict areas where depleted uranium has been used is not necessary. Individuals who believe they have been exposed to excessive amounts of depleted uranium should consult their medical practitioner for examination, appropriate treatment of any symptoms and follow-up. The potential external dose received in the vicinity of a target following attack by DU munitions has been theoretically estimated to be in the order of 4 μSv/year (UNEP/UNCHS, 1999) based on gamma ray exposure. Such doses are small when compared to recommended guidelines for human exposure to ionizing radiation (20 mSv/annum for a worker for penetrating whole body radiation or 500 mSv/year for skin (BSS, 1996). Of course, the poseurs dismiss such stuff with a wave of the hand, claiming that, for reasons known only to them, the authors of the report suppressed damning evidence, or didn’t consider certain miraculous processes whereby the DU can be transported into the bodies of its victims without showing up in urine samples. If one points out, for example, that natural background radiation in places such as Iran and India is much higher than any increase due to DU in the places where all the birth defects and illness is supposedly taking place, without ill effects to the local populations, they merely reply that the DU is carried on insoluble particles, that are infinitely more dangerous than natural uranium. If it is pointed out that, in that case, it would actually be much more difficult for DU to cause birth defects because the rate at which the body carries insoluble compounds to the vicinity of the reproductive organs is an order of magnitude less than for soluble uranium compounds, or that it is much more difficult for insoluble compounds to get into the food chain, they quickly change tack. Suddenly, the DU becomes soluble, and the circle is squared. A moment’s rational consideration of the facts demolishes the DU hype. For example, it is claimed that 320 tons of DU were used in the Gulf War in 1991 and 1700 tons in the invasion of Iraq in 2003. Those numbers pale in comparison to the approximately 9000 Tons of natural uranium and 22400 tons of thorium currently released each year from the burning of coal. 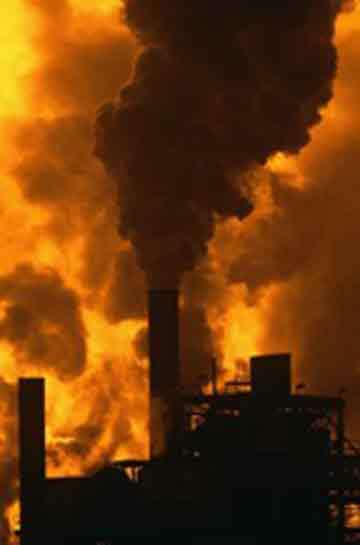 Much of this material is pumped directly into the atmosphere in the form of particulates that easily enter the lungs. It is far more likely to contaminate nearby population centers in this form than the byproducts of DU munitions. Coal consumption in China alone is over 2 million metric tons per year, resulting in the yearly release of about 3000 tons of uranium and 7450 tons of thorium. There have certainly been health problems downwind of these plants, but they’ve been due to plain old-fashioned air pollution. There have been no massive increases in birth defects or radiation-related cancer, flying in the face of claims about DU’s supposedly demonic power to sicken and kill. Uranium absorbed in the body will show up in the urine, whether it is ingested in soluble or insoluble form. Yet, despite massive screening of military veterans, ongoing studies find no persistent elevation of U concentrations beyond that found in the general population other than in soldiers actually hit by DU fragments or involved in friendly fire accidents. Studies of uranium miners confirm the absurdity of the inflated DU claims. Exposure to increased levels of uranium dust has not been associated with increases incidence of cancer, even in older miners. Increased levels of lung cancer in such workers certainly have been detected, but it is associated with the breathing of high concentrations of radon in confined spaces. The contribution of DU to radon gas concentrations in the atmosphere in Iraq is utterly insignificant compared to natural seepage from the earth and release by coal plant pollution. Meanwhile, massive use of chemical weapons in the Iran-Iraq war, the sabotage and burning of hundreds of oil wells after the first Gulf War, and the release of a host of carcinogenic chemicals in the process of oil production are somehow never considered as possible contributors to illness and birth defects, unless, of course, they happen to fit another narrative. In a word, the DU propaganda is nonsense, but that doesn’t keep it from being effective. Other than that, because of DU’s potential value as a fuel in future breeder reactors that will be available to us without the environmental and health hazards of mining new uranium, we are almost literally shooting silver bullets. Under the circumstances, one wonders what possible justification there can be for the claim that the advantages of continued use of DU munitions outweigh the drawbacks. Why are we working so hard to confirm the familiar claim that “military intelligence” is an oxymoron?